The NEW FS 360 C-EM is part of STIHL's latest line-up of professional clearing saws designed for tough jobs with exceptional ergonomics, durability, power and reliability. 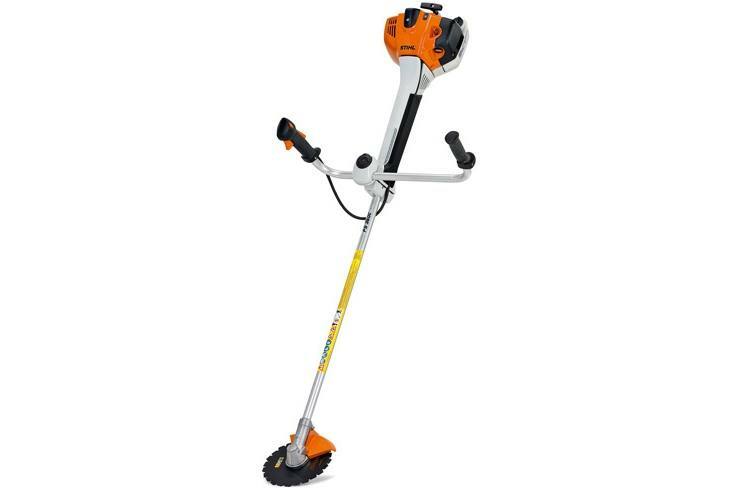 Featuring stratified charge engine technology that cuts fuel consumption by 20% and exhaust emissions by 50%, the Easy2Start™ system for effortless starting, 4-point anti-vibration system, and a toolless adjustable bike handle, this professional clearing saw is an invaluable tool when mowing tough grass or scrub. Bike handle: When used in conjunction with a harness, the bike handle enables a smooth mowing action. The bike handle allows the machine to be easily guided, making it ideal for working on large areas and thus reducing fatigue. Shoulder strap / carrying system: Using a STIHL shoulder strap or carrying harness with soft padding makes work more comfortable, particularly during lengthy jobs. Tool free handle adjustment: The central wing nut enables easy adjustment without the use of tools. For transportation and space-saving storage, the handle can be rotated by 90°.